This story contains spoilers for American Horror Story: Apocalypse through episode 9. Things are about to wrap up on American Horror Story: Apocalypse, and we still have so many questions. After a series of flashback episodes, we're finally almost caught up to that titular apocalypse, or at the very least know how it's about to go down. In this week's penultimate episode, "Fire and Reign," we learn that antichrist Michael Langdon (Cody Fern) was convinced by two coke-fueled nuclear scientists, Mutt (Billy Eichner) and Jeff (Evan Peters), to kick off the end times. Jeff, frustrated at the state of the world, concocts the idea of having Michael lead the evil Cooperative toward the decision to blast off a bunch of nukes and end everything -- while a handful of the elite and wealthy will ride it out in underground outposts. The identity of the Cooperative has been a big mystery all season, but it was finally revealed that it's actually a codeword for the Illuminati, and that several of the world's highest-ranking politicians are members (Vladimir Putin, Kim Jong-un, Bill Clinton). With Michael leading the charge, the nuclear holocaust looms -- the witches are well aware, and severely down in numbers. To make matters worse, Michael also killed all of the warlocks, so the witches are completely outnumbered and quickly running out of hope. But they do have one important wildcard up their sleeve: Mallory, whose magical abilities outpace any other living witch, and perhaps any witch ever. Let's break down why Mallory is important, what she's capable of, and how she might turn the clock around on the apocalypse. Mallory is a powerful witch with a unique ability. 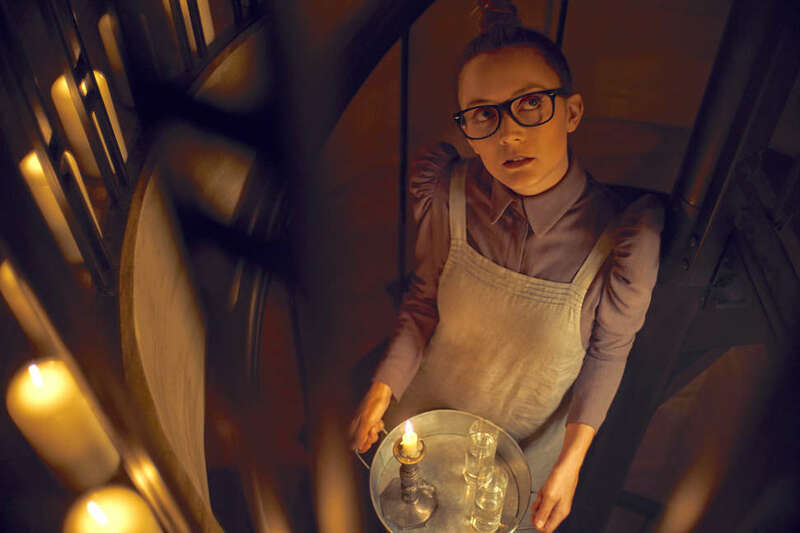 Though Mallory's true identity was obfuscated for the first several episodes -- she and Coco were "hidden" in the real world and had their memories wiped to protect them from Michael -- we eventually learned that she is a member of Cordelia's coven and was a student at Miss Robichaux's. There, she impressed her instructors with her uniquely beautiful (and powerful) magic. She was able to turn flower petals into butterflies, and to resurrect a dead deer; and not just resurrect, but also de-age the creature. As Myrtle points out, this sort of magic has never been performed before, and hints at an extreme power. We also know that Mallory is the direct descendent of a Salem witch -- the first witches to start the coven that became Miss Robichaux's -- so she certainly has the birthright to counter someone like Michael. She's probably the next Supreme. Cordelia seems well aware that Mallory is the next Supreme, as she can feel her own powers dwindling. The living Supreme has to die for the next to ascend, which means the two witches are in a precarious place: Cordelia wants to save the world, knowing her life is hindering Mallory's abilities, but the coven doesn't want to lose their trusted leader at such a crucial time. In "Fire and Reign," Myrtle and Cordelia encourage Mallory to attempt an incantation that can send her back in time. Desperate for a way to prevent the apocalypse, they figure that Mallory -- who's able to reverse aging -- might have what it takes to complete this never-performed-before spell. As not to fuss with the present just yet, they send her to 1918 Yekaterinburg, to the night the Bolsheviks executed the Romanov family. The youngest daughter, Anastasia, was a witch, and Myrtle and Cordelia want Mallory to retrieve her. The spell initially works, and Mallory is able to project herself from a bathtub in Misty's Louisiana shack to early 20th century Russia. She finds Anastasia and attempts to save her, but their magic fails, and the Romanovs are killed anyway. Mallory springs back to consciousness in the tub, her eyes shedding tears of blood. At this point, we know that the apocalypse is still two years away, which means it's certainly possible that Mallory will spend that time perfecting the enchantment. So what does that mean for Michael? Mallory might be able to prevent Michael from ever being born. If Mallory is able to pull off time travel, to what point in time will she return, and how will it prevent the apocalypse? The most obvious answer is that she'll return to the Murder House and somehow prevent Michael from ever being born. Maybe she'll find a way to convince the Harmons to leave before Vivienne (Connie Britton) can be impregnated by Tate (Evan Peters). Or maybe she'll find a way to get in cahoots with Constance (Jessica Lange), who can find a way to tamper with her son and prevent her grandson's birth. This scenario would technically mean that the entire first season of the series never happened, which would probably frustrate some viewers. It's also possible that, to avoid fully rewriting the series, Mallory won't travel back in time at all, but will somehow use her powers to reverse Michael's age so the witches can raise him, train him, and use his powers for good. We also have our eyes on Coco, whose powers have mostly been a joke so far; she's able to determine if a product is actually gluten free, and she knows the exact calories of any food. That may sound silly and useless, but it means that she's able to recognize the chemical composition of objects. That might come in handy when it comes to nuclear weapons. Perhaps Mallory and Coco will travel back in time and somehow prevent the weapons from detonating. Whatever happens, we don't want to underestimate Coco. It's a very American Horror Story-esque type of thing to whip out a last-minute surprise. Maybe the key to saving humanity rests in the hands of a calorie-counting witch. We wouldn't put it past this show.